Before you begin this short guide on selecting the right meat for your delicious homemade hamburgers, carefully consider this question: are you content with the pre-ground cellophane wrapped meat packages you can get at the market--you know, the ones most people pick out for mediocre dishes--or do you feel called to the complete control that selecting the high quality, fresh cuts of meat that you can turn into the most exquisite, juicy hamburgers you and your friends & family have ever tasted? Making your own hamburgers from the best cuts of meat used to mean arduous labor with a manual meat grinder--you turning the handle as hard as you can and the grinder doing its best to keep up. The only folks with the convenience of an electric meat grinder were butchers or commercial kitchens who could afford them. Thankfully for us, everything becomes cheaper over time, and now every day people like you and me can use a small to medium sized residential electric meat grinder to take any high quality selection of meats we find and turn them into delicious, perfectly ground hamburgers. The cost of an electric meat grinder is minuscule compared to the use you’ll get out of one for the next 5-10+ years of your life. We actually wrote a guide on selecting the right one for you, we’ll link it here. The best hamburger is juicy with a flavor portfolio deeper than the Grand Canyon, and it’s the fat that gives it that juicy, moist inside. Consider whether you like yours medium-rare, medium-well, or well done. The more well done you like your burgers, the more fat you’re going to want them to start with, because cooking longer will make them drier. For a very well done burger, you should be looking at 30-35% for that delicious juicy flavor on the inside and the brown on the outside. If you’re going for medium-rare to medium-well, you can work with as low as 20% to 30%. For very rare, you can go as low as 20% or even 10% because you definitely don’t want a lot of unrendered fat in your burger. Without boring you to tears, myoglobin is an iron and oxygen binding protein found in the muscle tissue of animals like cows and pigs, and so on. It’s what gives the meat its “beefy” flavor and red meat color. 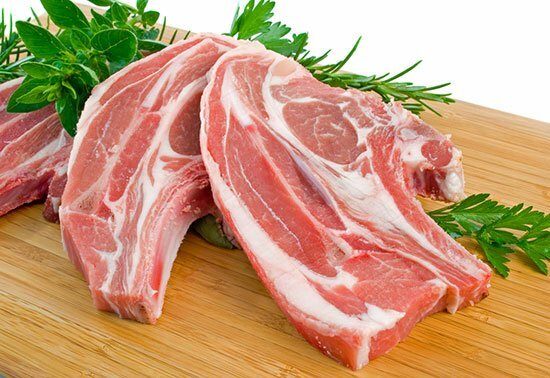 Less expensive cuts from harder working meats like chuck or round are high in myoglobin which makes them particularly tasty, although each cut will have a slightly different flavor portfolio. You can pick one type or as many as two to three to blend together in your electric meat grinder. Chuck is the most popular cut for burgers. It comes from the shoulder and is typically around 15-20% fat, which is a bit low but can be perfect for a rare or medium-rare. Its flavors and textures really shine when freshly ground with your electric meat grinder. It’s very important that you do not accidentally get chuck roast, because chuck roast has too much sinew for hamburgers. The leathery sinew will completely clog up your electric meat grinder. Keep in mind, however, that chuck steaks can vary widely in beef to fat ratio. 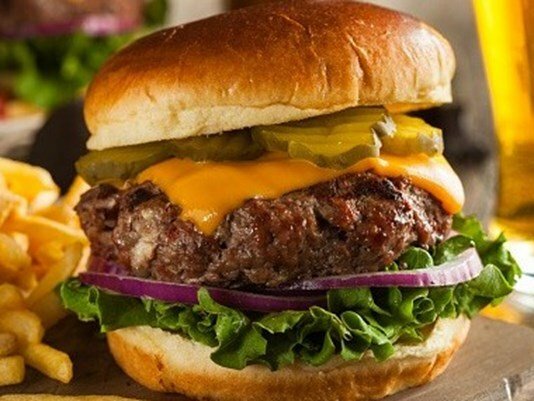 You’ll need to look for a ratio that matches the type of burger you’re going to make. Short ribs are a bit more expensive than chuck, but they pack a delicious steak flavor and with the right amount of grinding and cooking, will make amazing homemade burgers. If you see it on sale and can get a terrific deal then it is probably one of the best choices. You will need a good electric meat grinder (see our guide: absolute best electric meat grinder) to grind them to the right size, though. Short ribs typically come with the bones, so you’ll have to take a few minutes to cut the meat off. The bones are amazing for a beef stock, so I’d recommend keeping them. Short ribs are usually about 20-30% fat, which makes them amazing for more well done burgers. For most meats, we believe the STX International Electric Meat Grinder is one of the best inexpensive electric meat grinder, but any of the grinders on our best electric meat grinder reviews page will serve you well. Check out our Best Inexpensive Electric Meat Grinders on Amazon guide as well if you're looking for a great deal. 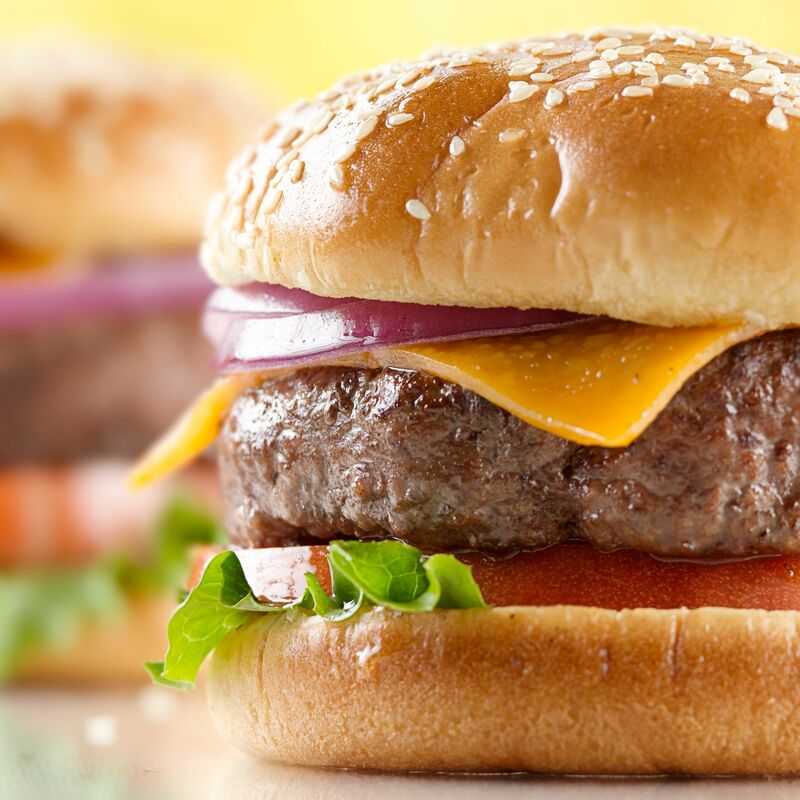 At the end of the day, the most important thing to get right for your burgers is the fat to beef ratio. 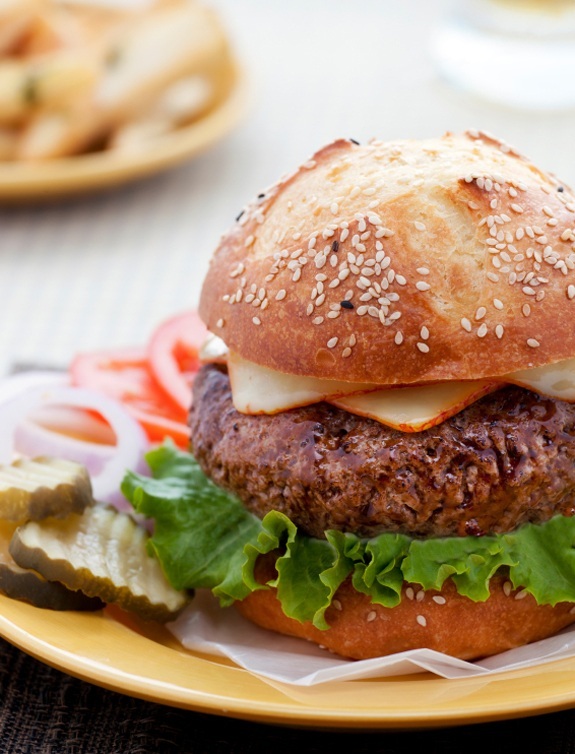 A burger without enough fat will be dry, coarse, and dull. With the right ratio, it will be juicy, tasty, and delicious. The amount of fat you want it to start with depends on how well done you’re going to cook the burgers, and can range from 10-15% for very rare to 35% for very well done. You can combine different cuts of meat like chuck or round, short ribs, flank, skirt, sirloin, and so on for a unique flavor portfolio. This, of course, is all made possible by having a meat grinder that can grind these meats for you. 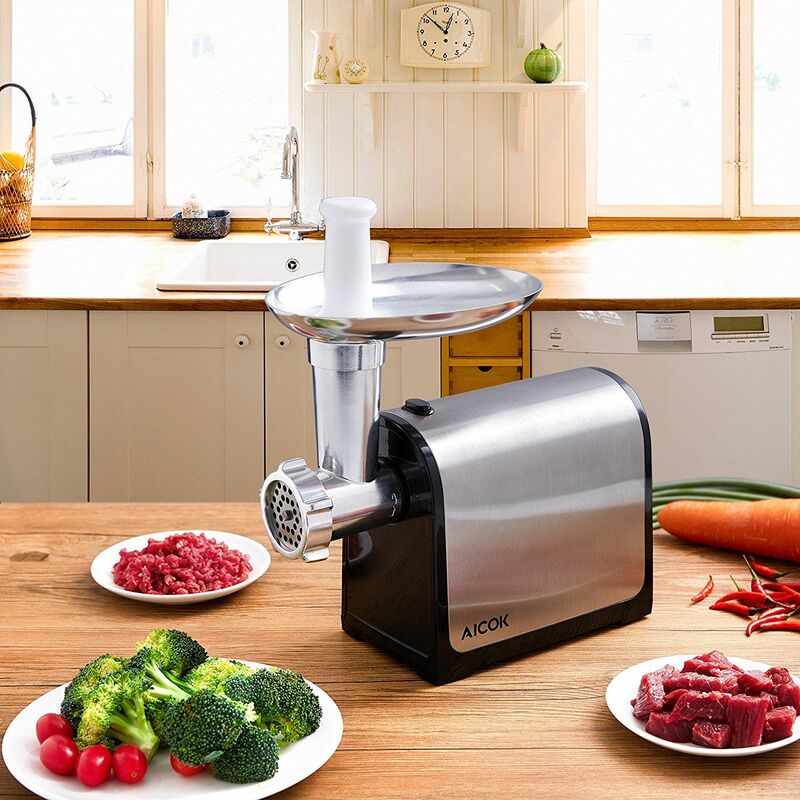 We’ve written a thorough guide on how meat grinders work and how to pick one, in addition to a list of the best low cost electric meat grinders for home use.